Quick action by Regina Transit saved the life of a puppy found shivering in a bus shelter on Thursday. 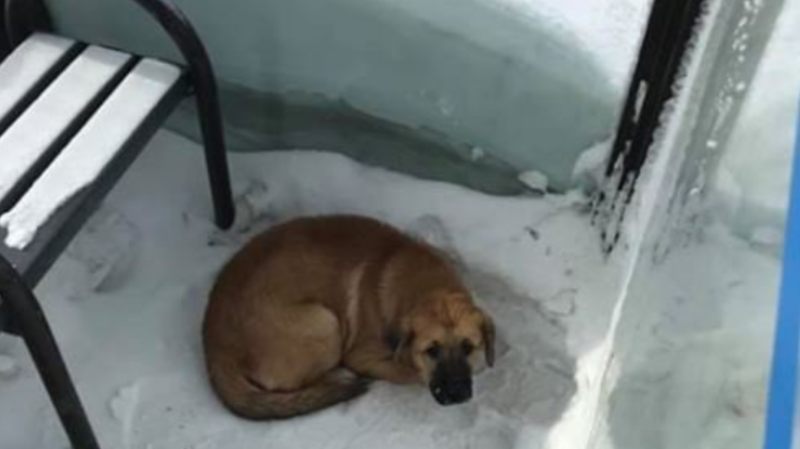 A passenger on one of the buses told their driver of a cold dog in one of the shelters. The driver called dispatch and transportation service officer Darren Zabbo answered the call. A dog lover himself, Zabbo knew time was of the essence and went to the location of the dog. “Knowing how busy the humane society was probably going to be at that time I knew it could probably get there before them,” Zabbo said. Zabbo wrapped the dog in a fleece blanket and had the Regina Humane Society come to pick the dog up. He said he arrived at the bus shelter just in time before frostbite could set in. The humane society said the owner of the dog did come by later to claim it. Regina Transit looks out for the safety of not just pets during the frigid temperatures. As part of its Safe Ride program, if someone is freezing cold and needs assistance they can put their hand out and the bus driver will stop to help. This signal can also be used to flag down bus drivers if someone is in need of medical attention or being bullied or harassed.